GearBest have given me a coupon for you guys to use to purchase knives… use OUT15OFF at checkout. 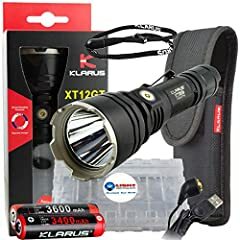 GearBest supplied this Klarus XT12GT for review. 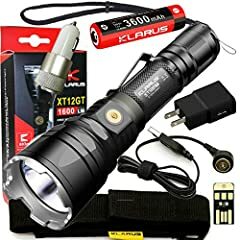 What we have here is a top notch weapon mountable tactical flashlight. Top quality construction with stainless steel strike bezel and hardened mineral glass lens with anti reflective coating and it is scratch resistant too. The body is of aerospace quality aluminium alloy with mil-spec HA III hard anodizing. With 1600 Lumens output and a range of 603 metres, you can even see the beam in daylight!! You can get yours from my link below. It won’t cost you any more to buy but you will be helping my channel out as I get a small commission. Thank you. Please be sure to check out the other knife, multi-tool and flashlight reviews on my channel. Knives and other tools can be dangerous! Nash Rathbone is NOT responsible for personal injury or damage to property through the misuse of knives or other tools! Thank you. 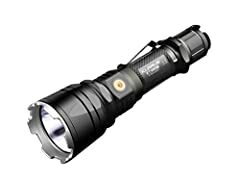 Nice torch,like the features but i only carry atom light’s and very rarely use them.Just so many street and motion active house light’s it barely gets dark around here. just got one and I love it. Is there some kind of warranty card in the packaging? I really want to get either a XT2CR or a XT1C. The XT1C is really hard to find. 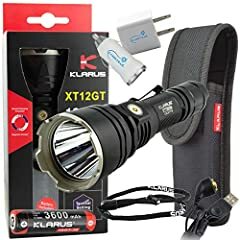 Klarus XT2CR Flashlight Kit Review!